Home Garden News Can Cats Eat Lettuce? What About Cabbage? Lettuce is a vegetable that is always a complement to food. Usually, lettuce is made as a salad, or ingredients for sandwiches. This green vegetable can improve nutrition and taste so that it adds to the family’s appetite. If you are a cat lover or raising cats, this is good news for you to try lettuce as their healthy food. However, whether cats can eat lettuce or not, is this good for their health? Don’t worry, lettuce is a healthy vegetable for your cat. If they want to eat lettuce, you can give it. However, there are some things you must know about this, read on this article hopefully useful. Lettuce is a healthy vegetable and is good to be consumed or given as cat food. But only in small portions is this safe for them. Like other vegetables, lettuce is loaded with fiber and helps digest your cat. Fiber if consumed in large amounts can cause laxative effects, especially in cats that do not eat lots of green vegetables. How many slices of lettuce are good for cats? 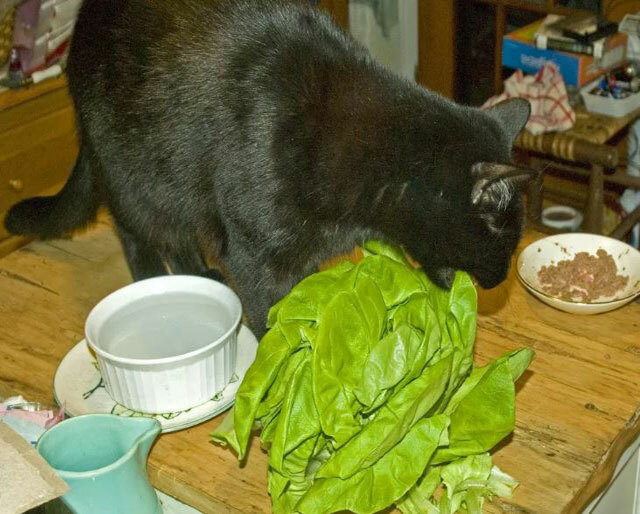 To be safe for cats, you can give two or three lettuce leaves. Enter into their food gradually, this will make them know lettuce well as their food. So, what are the benefits of lettuce for cats? Maybe you also ask, is lettuce beneficial for cats or not? If we look at the many nutritional contents in it, of course, lettuce has benefits for your cat’s health. This nutrient is also a driving force for cat owners to give lettuce in cat food. This leafy vegetable is loaded with vitamin A which is very important for cat health. Vitamin A promotes vision health in cats and helps their immunity. But if in large quantities, vitamin A can be toxic to the body including cats. So, you must limit lettuce to your cat, this is to avoid the possibility of poisoning. The high water content in lettuce can keep your cat hydrated. In addition, he also maintains digestive health. If your cat has constipation, then lettuce is the solution for them. There are many types of lettuce available to humans, including iceberg, leaf, romaine lettuce, and butterhead. All types of lettuce are safe to give to cats for not excessive. After we know that cats can eat lettuce, maybe you also want to know whether cabbage is also good for cats? 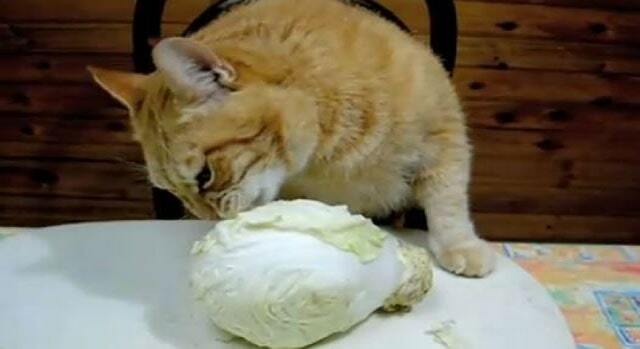 Yes, true cabbage is also safe to give to cats in small amounts. Cabbage can provide benefits such as fulfilling vitamin B6, calcium, and magnesium. One of the surprising benefits of cabbage is “fighting cancer”. However, cabbage can cause excessive gas in cats, so just give them a little. In addition, another reason you have to limit cabbage to cats is that it contains thiocyanate if the cat consumes a lot of cabbage it can have a bad effect on thyroid health. For safety, give lettuce and cabbage to cats in small amounts. Always limit them to consuming these two types of vegetables. If only in small quantities, then this vegetable is actually beneficial for cats.